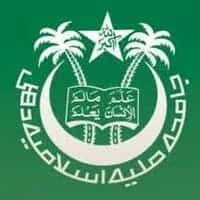 Jamia Millia Islamia Distance Education into various Undergraduate and Post Graduate courses is conducted by Centre for Distance and Open Learning (CDOL). The eligible candidates who are seeking admission in their desired programme offered for Centre for Distance and Open Learning (CDOL). Jamia Millia Islamia should fill and submit the application form on or before the due date. The main aim of Jamia Millia Islamia Distance Education 2018 is to provide space for higher education through distance mode to those candidates who are inaccessible to the benefits of a formal system of education. Centre for Distance and Open Learning (CDOL), Jamia Millia Islamia was approved by the Ministry of Human Resource Development (MHRD), Government of India in 2009. Note: Admissions to the BEd programme will be conducted through entrance test, Dates for the test will be notified later. The candidates desirous seeking admission in any of the offered programmes on the distance mode have to submit an application form. The candidates can fill the application form through an online mode. Jamia Millia Islamia will soon release the notification regarding the admission in various Undergraduate and Post Graduate courses is conducted by Centre for Distance and Open Learning (CDOL). The candidates are suggested to keep themselves updated on this page to get all the information about the JMI Application Form. The candidates first have to follow the link given on this page above which will redirect them to the official website of the Jamia Millia Islamia. Before filling the application form, the candidates are required to read the guideline carefully. There, the candidates have to fill the application form by providing the basic information asked. The candidates should fill each and every section of the application form. Now, the candidates have to paste passport size colour photograph and sign at the space given in the application form. Only the photograph with full face front view displaying full feature and should have taken within the last 3 months are to be pasted on the application form. After filling the application form, the candidates have to make payment of the application fee through Demand Draft (DD) which should be in favour of Jamia Millia Islamia and payable at New Delhi. The NRI/Foreign candidates have to submit the following attested certificates and documents along with the admission application form. SC/ST certificate in case of BEd. Programme for relaxation in eligibility as per GoI norms. Migration/Transfer Certificate, in original, from the Institution last attended (in case of Masters and Bachelor’s Programmes) must be submitted within 30 days from the date of admission, failing which the admission is liable to be cancelled. Students of the Jamia Millia Islamia have to submit documentary proof for enrollment number if allotted earlier by the Jamia Millia Islamia. No Objection Certificate from the present employer (wherever applicable). The candidates after filling up the application form must cross-check the information filled by them in the application form is correct in all aspect. After ensuring that the details filled by them are correct in all aspect, the candidates should submit the application form. After submission, the candidates should keep at least two printouts of the form along with them for future reference. In all program (except B. Ed), the candidates would be selected for Jamia Millia Islamia Distance Education admission on the basis of their merit in academic qualification. There are no limited number of seats for all programmes except BEd The deserving candidates will be called for document verification and admission after the application submission. The CDOL/ Study Centre will notify the list of shortlisted candidates for admission to all programmes other than BEd on the University website/ Study Centre. Admission in B.Ed program will be done through an entrance test which will be conducted by JMI. The date and venue of the entrance test will be notified to the eligible candidates. There are 500 Seats for the BEd Course. The candidates who have completed admission process in all respects will be issued identity card. To get an identity card, the candidates will have to 3 passport size photograph. After completion of admission, any candidates will not be permitted to change the optional subjects of the program. The candidates who want to change the medium of SLM will be permitted on payment of Rs 1000 and the candidates can make payment through demand draft only. The Urdu Correspondence Course was established in the year 1970 with an aim to teaching Urdu informally through its distance education program. To get admission in JMI Urdu Correspondence Course, the candidates are not required to appear in any specific entrance examination. Admissions are open throughout the year.